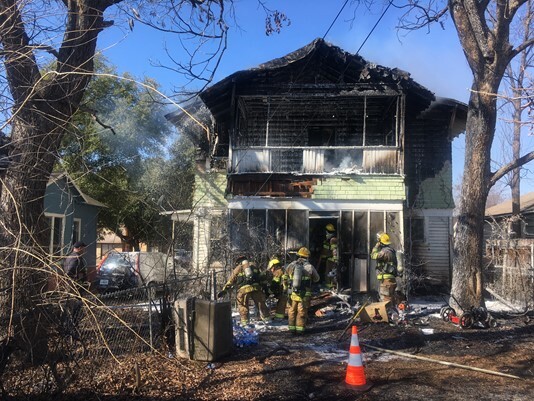 Firefighters of Temple Fire & Rescue responded to a fire near downtown Temple, Texas, last Saturday morning. 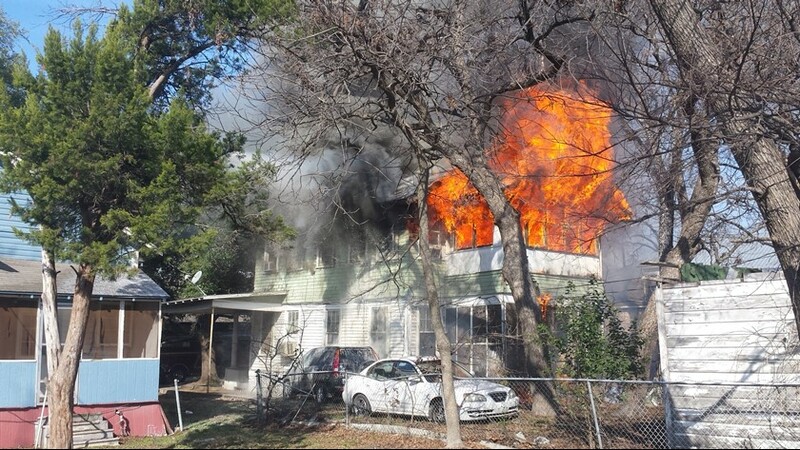 Flames could be seen shooting out of the second floor of the two-story home. The fire was so bad, that it took firefighters almost an hour to extinguish the flames. Thankfully, the family was able to make it out of the house quickly and safely and were unharmed. But one furry member was still stuck behind the fire. When Good Samaritans heard their dog barking, they immediately asked where the dog was. One man ran toward the backyard and leapt over the face without hesitation. The Chow Chow, name Harley, was only a few feet from the blaze, and this man made it his mission to save him. 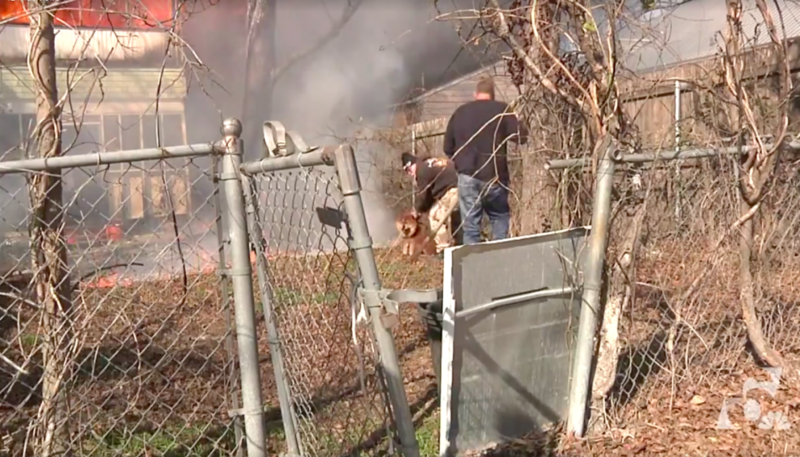 Thankfully, they were able to get the dog out of the backyard before the blaze reached him. The heat burned some of his fluff, but other than that he was perfectly fine. The man led Harley out to the front of the house. 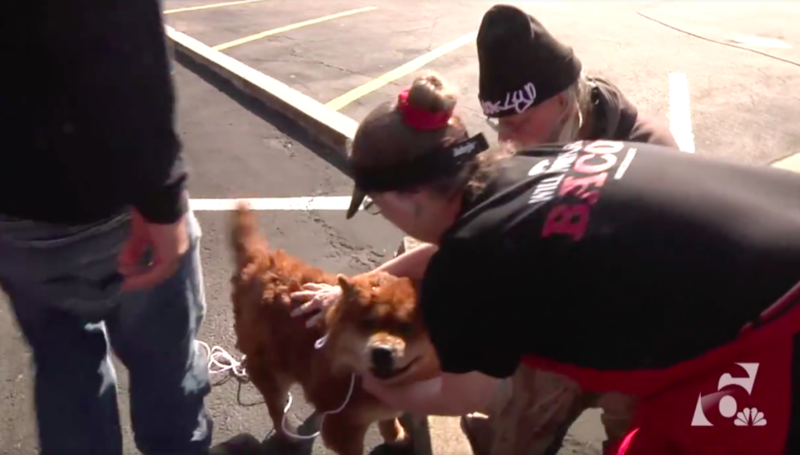 He was happy to be reunited with his family and couldn’t stop wagging his tail. His family was relieved that he was now safe. The cause of the fire is unknown, but ruled to be unintentional. Unfortunately, their entire house was destroyed in the fire. According to Temple Fire & Rescue, the estimated dollar loss to the house and its contents totaled nearly $100,000. The family of six is now getting help from the American Red Cross. They may have lost their home and belongings, but they still have each other and thankfully no one was injured, including their fur baby.